When the weather gets cold, the chickens tend to either spend all their energy in metabolism - keeping warm - or growing feathers. But at some point in winter they are all feathered up and go back on the lay. 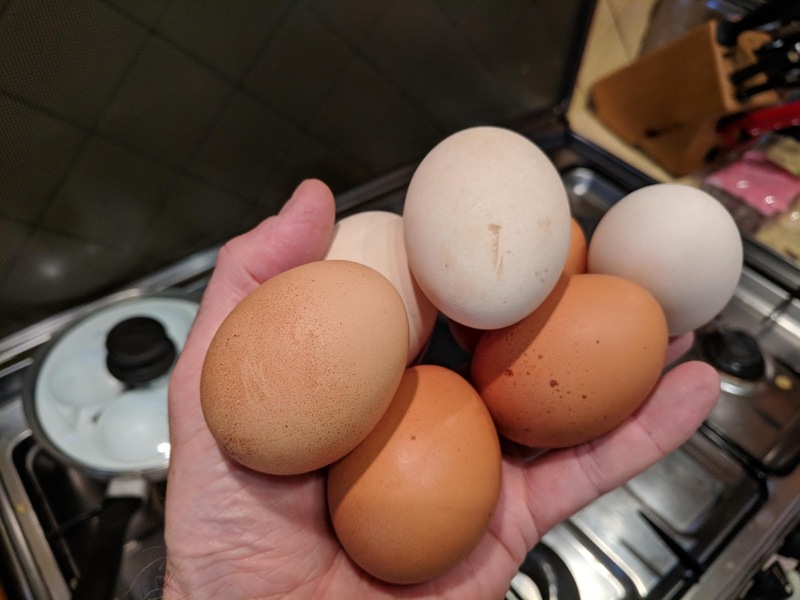 And I think we are back in the eggs business again.